Self-dual sectors for scalar eld theories in (1 + 1) dimensions. 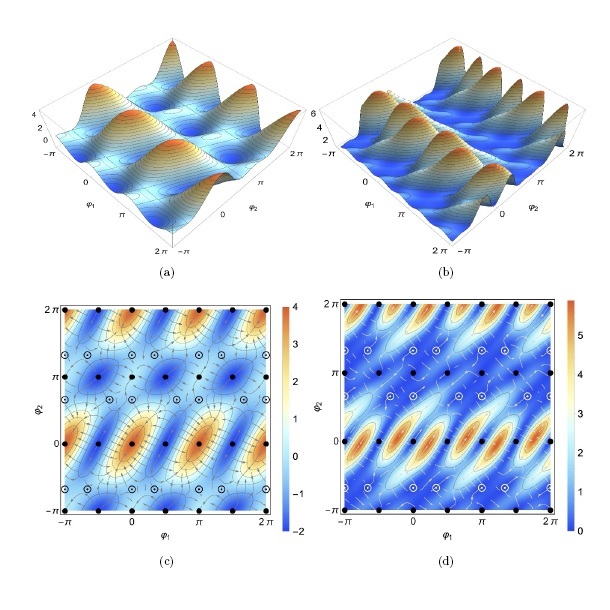 FERREIRA, Luiz Agostinho; KLIMAS, P.; ZAKRZEWSKI, Wojtek J.
Abstract: We use ideas of generalized self-duality conditions to construct real scalar field theories in (1 + 1)-dimensions with exact self dual sectors. The approach is based on a pre-potential U that defines the topological charge and the potential energy of these theories. In our algebraic method to construct the required pre-potentials we use the representation theory of Lie groups. This approach leads naturally to an infinite set of degenerate vacua and so to topologically non-trivial self-dual solutions of these models. We present explicit examples for the groups SU(2), SU(3) and SO(5) and discuss some properties of these solutions.